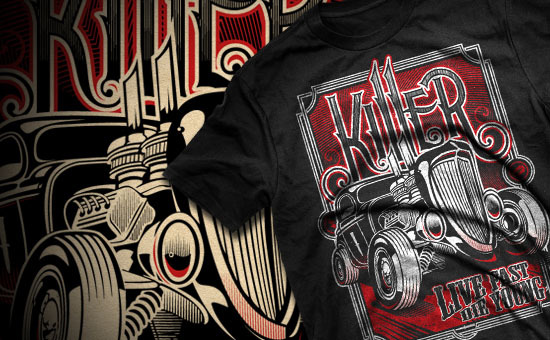 These were a series of Illustrations I did for Killer LTD’s new apparel line. The Killer projects are always fun to work on due to their “Live free or Die” attitude. 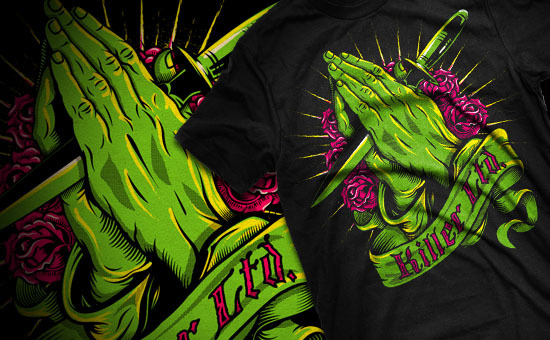 All 3 prints were inspired by Killers dagger icon, as well as the tattoo culture that goes along with the brand. 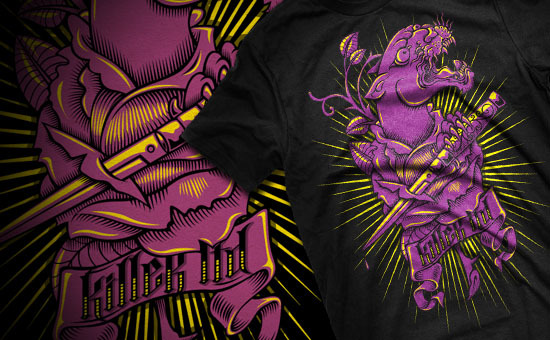 All the designs were created in Adobe Illustrator, and printed on black shirts using discharge inks.